Imitation and reinforcement learning are the key to the learning of complex behaviors on high degree of freedom systems like humanoid robots. We focus on new approaches based on statistical generalization of sensorimotor experiences and trajectory libraries. The goal and other characteristics of an action can be utilized as meta parameters to synthesize new movement primitives, taking into account the current state of the world. Nonlinear dynamic systems, which can represent both periodic and discrete movements, are often employed as the underlying motor representation. We combine statistical generalization with reinforcement learning techniques. This way we can acquire new sensorimotor behaviors autonomously, efficiently and in an open-ended way. 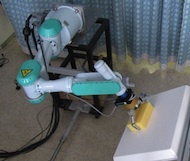 In the area of robot perception we study approaches that combine active vision and manipulation with the processing of visual information and other sensing modalities including force. By active sensing we can bring in additional information that can be exploited to autonomously learn new sensory representations and object affordances, which would be very difficult or even impossible with static perceptual systems. Our approach is closely related to the early development of sensorimotor processing in children. 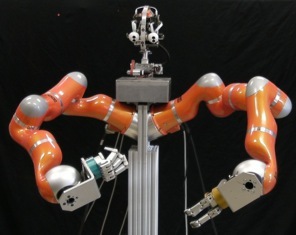 We are also interested in the development of humanlike visual systems to improve the sensing capabilities of our robots. Another important line of our research is the integration of low-level sensorimotor learning with the concept of object-action complexes, which have the ability to represent and reason about low-level (sensorimotor) processes as well as high-level (symbolic) information. They can therefore be used to join the perception-action space of an agent with its planning-reasoning space. 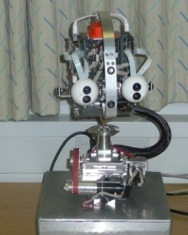 Bridging the gap between low-level control knowledge and high-level abstract reasoning is one of the fundamental concerns of autonomous robotics. 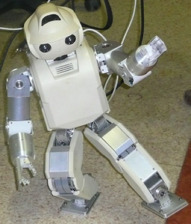 Besides in these key areas, the members of HCR conduct research in a number of related fields including kinematics, motor control, execution of collaborative behaviors (both human-robot and robot-robot), where there exists physical contact between agents, modeling of biological systems, visual tracking, object recognition and other areas of robot vision. HCR is part of the Department of Automatics, Biocybernetics and Robotics at Jožef Stefan Institute. We have established long-term collaborations with some leading research groups worldwide including ATR Computational Neuroscience Laboratories, Kyoto, Japan, Humanoids group at Karlsruhe Institute of Technology, Germany, Department of Computational Neuroscience, University of Göttingen, Germany, and Cognitive Vision Lab at University of Southern Denmark, Odense.